One of many conclusions from a major new report on the future of solar. Solar energy is a particularly important tool for addressing the global climate challenge, while helping to meet a massive increase in future electricity demand, according to a comprehensive report released today by the MIT Energy Initiative. But while solar costs have fallen dramatically in recent years, MIT researchers warned that continued rapid growth in solar is not an inevitability. One of the recommendations included in the 332-page report is for the United States to move away from net metering policies for distributed solar -- contrary to what many solar advocates would say. “I think we’ve got to find a better way to do it, because I think net metering is going to result in a pushback against residential solar,” said Richard Schmalensee, economics professor at MIT’s Sloan School of Management, on the sidelines of the report launch in Washington, D.C.
Net metering compensates distributed solar generators at the retail price for electricity they supply to the grid, rather than at the wholesale price received by grid-scale generators. This gives an extra incentive to distributed solar customers by reducing their contribution to covering distribution costs, while shifting those distribution costs onto utility customers who don’t have solar. Because cost-shifting has become so controversial in certain states, Schmalensee said it’s in solar’s "best interest" to do away with retail pricing in net metering policies, and to treat utility- and residential-scale solar "more or less the same." Several other reports have come to a similar conclusion, such as a recent report commissioned by the Louisiana Public Service Commission that drew ire from solar advocates. However, several more studies (including in Nevada, Vermont and Mississippi) have found just the opposite: that distributed solar does not impose a significant net cost to ratepayers, and in many cases produces a net benefit to all ratepayers. Some of the benefits listed in a 2013 study, commissioned by the Solar Energy Industries Association, were that distributed solar allows for reduced investments in transmission and distribution infrastructure and deferred investments in expensive and polluting conventional power plants, as well as providing an affordable way to meet state renewable energy mandates. Schmalensee countered these claims. He acknowledged that distributed solar could save on transmission costs in some locations. But, in general, he found that distribution costs would go up because of the technical upgrades needed to accommodate two-way power flow. Also, he said it’s true that distributed solar could reduce the need to build new, expensive thermal power plants, but so could utility-scale solar and energy efficiency. So there’s no justification for giving residential solar preferential treatment, he said. On cost, the MIT study found that utility-scale solar is inherently less expensive than residential-scale, and is likely to remain less expensive despite foreseeable cost reductions in residential. Therefore, utility-owned projects are a more affordable pathway to meeting renewable energy requirements. “Residential solar doesn’t have greater external benefits; it has greater external costs,” said Schmalensee. But according to Ken Johnson, vice president of communications for the Solar Energy Industries Association, the MIT report paints an "incomplete and flawed picture of solar economics." It largely ignores commercial and industrial rooftop solar, he said, which often have cost structures similar to those of utility-scale solar, but without some of the complexity of ground-mount systems. "The cost differences between rooftop and utility-scale solar are based, in large part, on inflated soft costs," Johnson added. "We’re working hard to change that. Through improved public policies, such as cutting red tape and streamlining permitting and interconnection processes, soft costs could be lowered dramatically in the future." 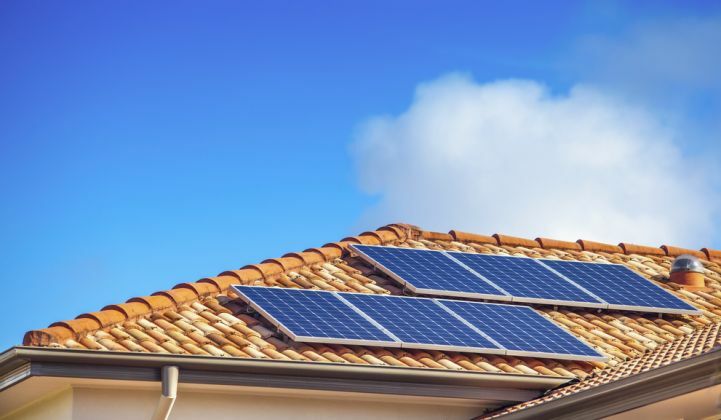 While the MIT report took issue with incentives for residential solar in terms of the way most net metering policies are structured today, the authors called for continued government incentives for solar power overall. Letting the federal Investment Tax Credit (ITC) expire at the end of 2016 would be "unwise," because it could lead to a sharp drop in solar deployment, according to Schmalensee. But the ITC’s focus on subsidizing solar investments, as opposed to solar power generation, is misguided, he said. And the ITC isn’t alone. There’s a long list of solar subsidies in the U.S., such as state tax credits and property tax exemptions, that need to be redesigned to reward solar output, in his view. “If we’re about solar generation, we should subsidize solar generation,” said Schmalensee. 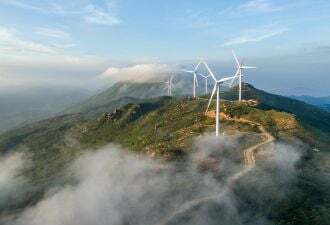 MIT economists also made a case for bringing state renewable energy standards under a unified national program, which they said would reduce costs by allowing for unrestricted interstate trading of renewable energy credits. This approach would also maximize the value of solar, by directing investments toward sunnier places. Finally, in terms of the technical advances needed to realize increasing solar adoption, the report recommended that the federal government concentrate its research and development dollars in emerging thin-film technologies, rather than continue to support crystalline silicon technology (c-Si), which is currently dominating the the solar energy market. Now that c-Si modules and their component cells and input materials have reached scale, there’s an incentive for the private sector to make the technology more competitive. As a result, there’s a weak case for continued government support in current c-Si technology, according to MIT. Thin-film technologies -- so long as they’re made from earth-abundant materials -- have several advantages over c-Si systems: they’re lighter, have lower manufacturing complexity, and are capable of being installed in flexible formats. These attributes offer the promise of reduced balance-of-system costs, which today make up the majority of overall solar deployment costs. But to realize these savings, emerging thin-film technologies need to become much more mature. “Therefore, to increase the contribution of solar energy to long-term climate change mitigation, we strongly recommend that a large fraction of federal resources available for solar research and development focus on environmentally benign, emerging thin-film technologies that are based on earth-abundant materials,” the authors concluded.